Spotify is certainly the big news here, and the addition of the streaming music service to the Game Bar will be welcomed by gamers who need more than just in-game music. You'll need to have the Spotify app installed as well, but the new widget allows for control of playback while gaming. Another new feature is a meme creator that lets you add text overlays to screenshots and video captures. 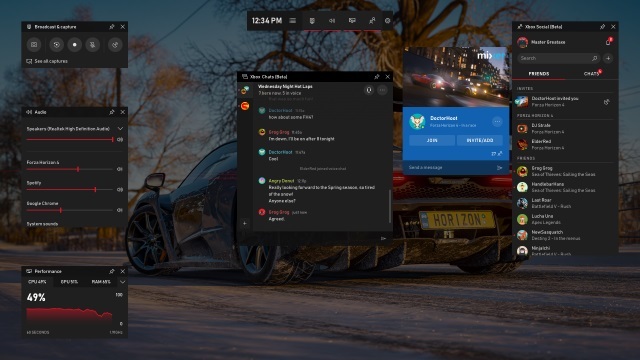 Launch the Xbox Insider Hub on your Windows 10 PC -- if you don't have it, get it from the Windows 10 store.